The Trump Administration's FY2020 budget proposal includes a request for $1.1 billion to buy 8 F-15EX aircraft, the first procurement toward a planned initial buy of 144. This proposal represents a change from previous Air Force plans to procure only stealthy "fifth-generation" fighter aircraft. What is an F-15EX, and why might the Air Force have changed plans? The Air Force received its first F-15 Eagle air superiority fighter in 1974. Subsequently, the F-15 evolved to encompass more roles, most notably with the deployment of the F-15E Strike Eagle in 1989. The F-15E added substantial air-to-ground capability, including a second cockpit for a weapons systems operator. The Air Force has 453 F-15s of all variants, the last of which was ordered in 2001. 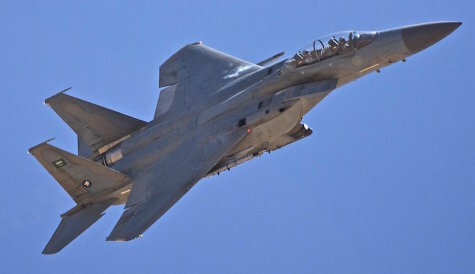 Since then, F-15s have been in continuous production for a variety of international customers, including (among others) Israel, Saudi Arabia, and Japan. Current F-15s have stronger airframes and more advanced sensors, processors, and flight control systems than those in the U.S. fleet. Many also include conformal fuel tanks to extend range and increase payload. The proposed F-15EXwould be based on the most advanced Eagles, currently in production for Qatar, and add radar and other subsystems unique to the United States. Boeing says that the F-15EX would have 70% parts commonality with existing U.S. F-15s. Why Is the Air Force Requesting F-15EXs? Air Force Secretary Heather Wilson has said publicly that the Air Force did not request the F-15EXs in its initial FY2020 budget submission. This proposal appears to have been added by the Office of the Secretary of Defense during the budget build process, without a request for proposals or explanation. -- In addition to the eight F-15 EXs, the FY2020 budget proposal reportedly includes $949 million for upgrades to existing F-15s. While costing more per aircraft than modernizing legacy F-15s, a new F-15EX would yield more future life. Replacing the older, 1980s-era F-15Cs with F-15EXs could enable the Air Force to avoid some or all of those upgrades. -- Buying F-15s, according to the Air Force, is an economical way of reaching the service's goals for fighter fleet size and average age. Does the F-15EX Replace the F-35? The Air Force has been at pains to emphasize that the F-35 and F-15EX are not rivals, but complementary. The F-35brings superior stealth and sensor fusion; the F-15 can carry more payload. (Air Force officials describe this as the difference between "capability" and "capacity.") The message of different missions can also be seen in the emphasis onF-15EX as an alternative to modernizing existing F-15s in their existing roles. -- Should acquisition of new fighters be a competitive procurement? -- What are the relative costs of upgrading and modernizing existing F-15s as opposed to buying new ones? -- How many flight hours does the Air Force expect to get from the jets in each case? -- If new F-15EXs are purchased, would the Air Force retire older F-15s rather than upgrading them? How many upgrades would be foregone for each new F-15 purchased? -- How does the replacement of F-15s fit with the Air Force's declared goal of growing to 386 squadrons? -- If stealthy aircraft are required in a given conflict only until the air defenses are taken down, which allows older-technology aircraft to operate with impunity, does it make sense to size the buy of fifth-generation aircraft to requirements for the early phases of conflict? -- What is DOD's commitment to completing the planned buy of F-35As? -- How does the F-15EX fit with the current National Military Strategy emphasizing capability against sophisticated adversaries?